Australians are in love with their pets. They aren't marrying them yet, but they are including them in their bridal party and giving them key duties on the big day. Wedding couples are now looking for wedding venues that can accommodate their four legged family members in addition to the standard two. While some venues are racing to cater to the pet friendly wedding market, Leconfield Wines, in the iconic McLaren Vale hills is already set up and ready to go. Leconfield Wines is one of Australia’s oldest family owned winemaking businesses. Located across McLaren Vale and Coonawarra, Leconfield proudly boasts many awards and medals for its highly respected wine labels - Leconfield, Richard Hamilton and Syn. Already a well known venue for large outdoor events, Leconfield McLaren Vale is now adding another string to its bow, an award winning wedding venue. “More and more people are looking for bespoke and individually curated weddings, which are intimate and tailored to their personalities and interests,” Leconfield Wines owner Doctor Richard Hamilton said today. “Many people come to McLaren Vale to visit the wineries or attend one of our concerts and fall in love with the region and want to get married here. This is why we have expanded our wedding venue and services. “We have the space, facilities and capability to undertake weddings of all sizes here at Leconfield Wines. It is a fast growing part of our business. It doesn’t matter what size or type of wedding a couple is seeking, we are able to provide marquees of all sizes and offer an exquisite range of food and wine options. “We are also pet friendly, which is incredibly important for many couples these days. 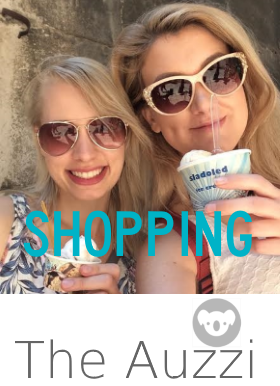 “As a result, we are able to deal with a growing number of pet requests. So many couples would like their pets involved in the bridal party or as guests, and want their guests to bring their pets along as well. “You’d be surprised how many people ask if they can involve their pets in their wedding. “Couples want to be able to involve their pets in the bridal party as either bridesmaids, groomsmen, or even as the best man. One bride to be wanted her fish bowl placed on the head table. “Another asked if we could set up a table specifically for her frilly neck lizard. We haven’t had any requests for snakes, yet. “Pet friendly weddings are on the rise. People want to involve their pets in their wedding and they want their guests to feel like they can bring their best friends along as well. 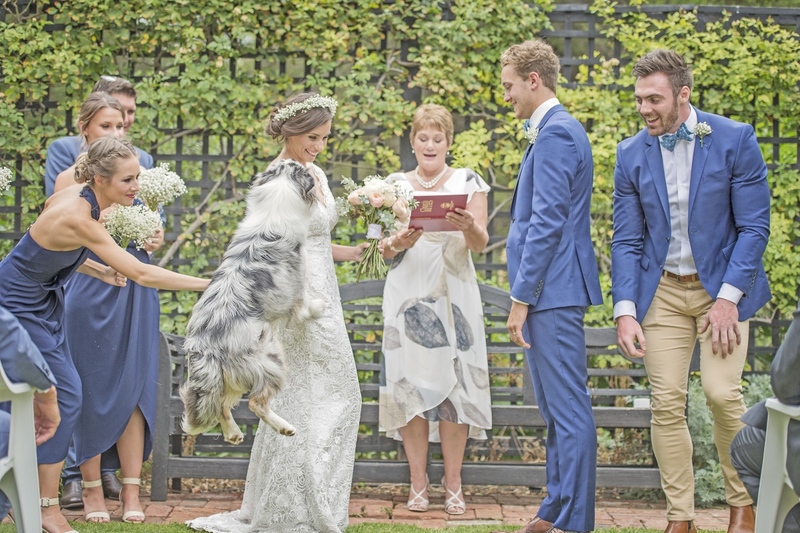 Founder of I DO PAWS, Emily Tromans, an experienced veterinary nurse and dog trainer, launched her service in Adelaide in early 2018 to assist couples to include their pets in their wedding ceremony and to provide pet sitting services for weddings. “Finding a pet friendly wedding venue is the first step. Once you have this, we then start planning. Some couples want their four legged friend to be the ring bearer or best man or a seated guest,” Emily said. “The good thing about our location is that we have plenty of free and open space around, so pets can be taken for a walk or allocated an area to play,” Dr Hamilton said.